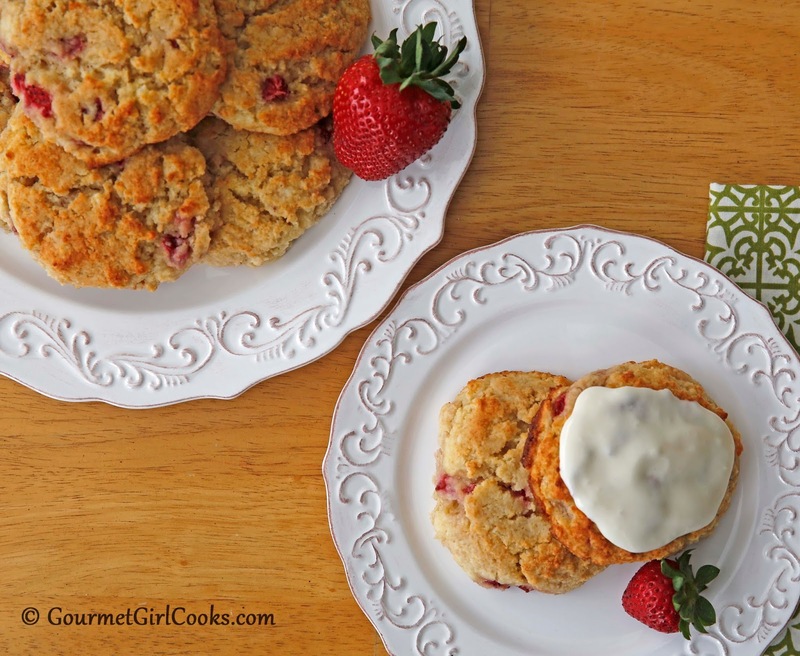 Gourmet Girl Cooks: Strawberry & Cream Biscuits - NEW RECIPE! 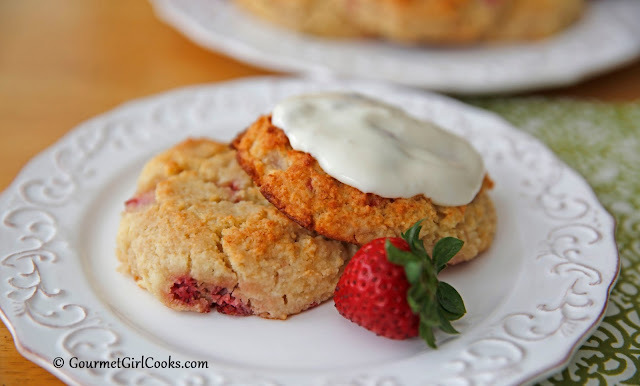 I've got a new recipe for you today that I shared on my guest post for Honeyville. 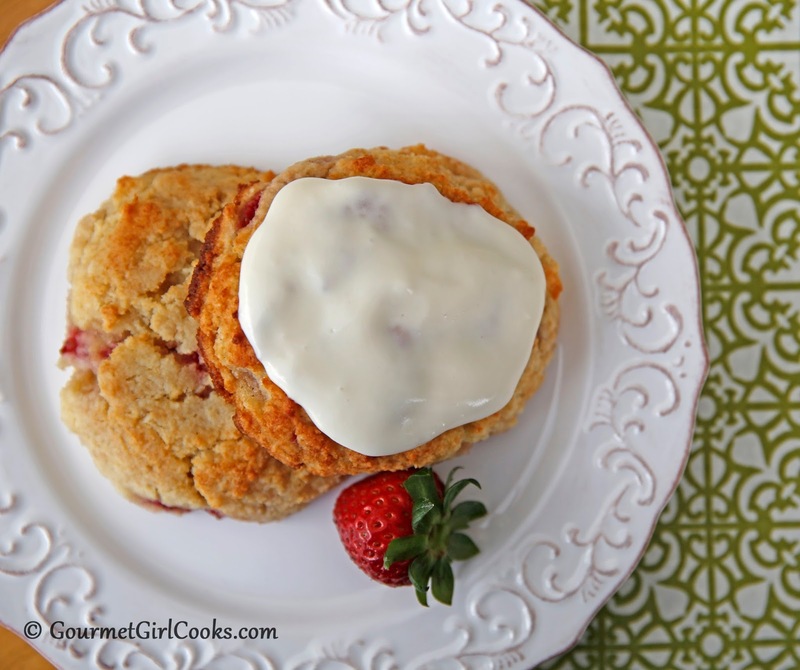 It's for Strawberry & Cream Biscuits. They are rich, delicate and bursting with fresh strawberry flavor and remind you that summer is just around the corner. 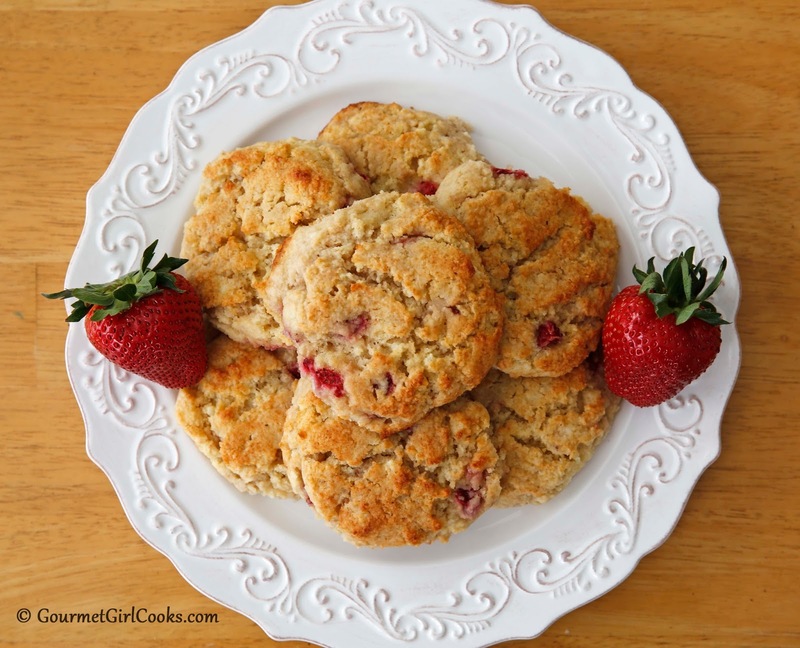 They're a cross between a sweet roll and a biscuit and can be made even more decadent by topping them with the optional vanilla glaze I made. I've enjoyed them both glazed and plain and they are yummy either way. 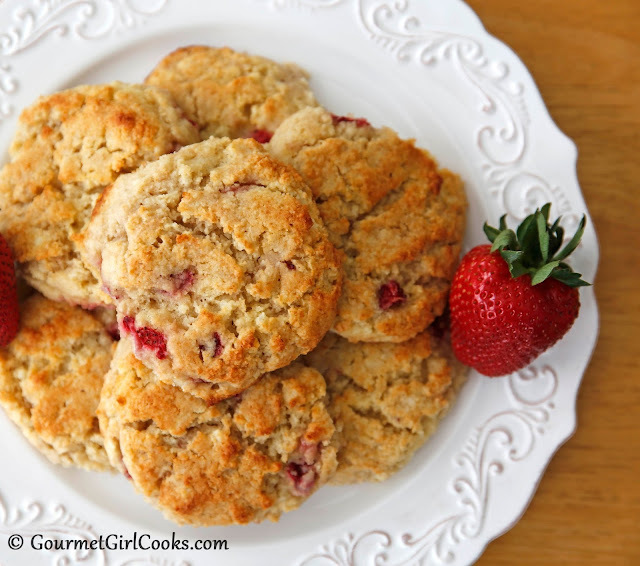 They go great with a cup of coffee and would be perfect to serve for Mother's Day breakfast, too. Check out some photos of them below. I hope you enjoy them! To get to the recipe, please click here: Strawberry & Cream Biscuits. Enjoy! These biscuits look lovely! Makes you think that one of these days spring will be here. It's coming in fits and starts, but I do have hostas and irises popping up. The daffodils and forsythia are in full bloom and the tulip trees and other blossoming trees are in the process of blooming, too. And the lawn has been green practically all winter! This is always such a nice time of year, when everything is stirring back to life. A little bitter-sweet this year though, isn't it? But comforting at the same time. I made these last night and they are fabulous!!! keep up the good work. I hate to waste food so I'll let you do that and give us the final product!! Thanks, I'm excited to try these!